Zadar is a beautiful, 3000 years old centre of North Dalmatia, resting on the coast of the Adriatic sea that will give you an opportunity to testify its vivid history and enjoy the contemporary aspects of its culture today. 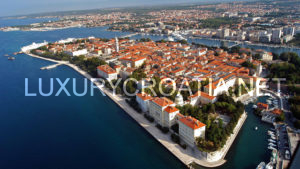 Zadar evolved a lot through the years, transforming itself from a prehistoric settlement to an Illyrian village to a Roman municipality and surviving other transformations until it was finally liberated and reunited with the rest of Croatia in 1993. As the Croatian National Tourist Board says, the region of Zadar tells the story of the sources of Croatian cultural heritage better than any book. Zadar is brimming with unforgettable Romanesque churches and each one of them has its own story, such as St. Anastasia, St. Chrisogonus and St. Donatus, which is recognized as the symbol of the city and is the most monumental Croatian building of the early Middle Ages. . When the season arrives in August, the Saint Donatus Church is used as a host to the popular festival of European renaissance classical music. 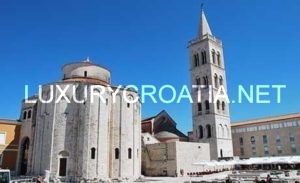 In the area around Zadar, we can run in to Nin, a small city known to be the oldest Croatian royal city which also situates the smalest cathedral in the world – The Church of the Holy Cross. 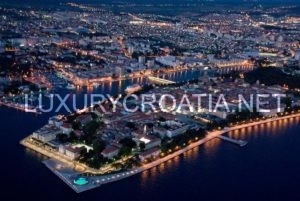 There are other mesmerising things to see in Zadar. The Sea Organ, situated on the west side of Zadar’s riva, appearing to be only a few stairs descending into the sea, whilst hiding the genius engineering that hides under the sea. The same architect designed The Greeting to the Sun, a 300 multi-layered glass in the shape of a circle which has photo-voltage solar modules that can communicate with light. In the world of natural beauties, Zadar will not dissapoint, offering amongst other things quite a few national parks for you to wonder around. Some of the national parks in the Zadar region are Kornati Islands, Paklenica canyons, Krka waterfalls, Plitvice lakes ( listed as a World Heritage site by UNESCO) and North Velebit. 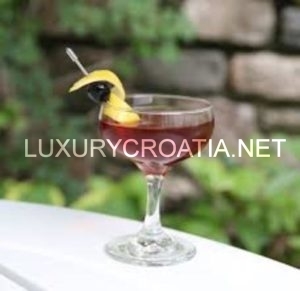 With a slice of Pag Cheese and a glass of the famous Maraschino, a local liqueur made from the native Maraska sour cherry, in your hand you can enjoy all the blessings of this area and the fruits of this land of divine inspiration.